While speaking at an event this Tuesday, former GOP Speaker of the House Paul Ryan said that Alexandria Ocasio-Cortez (D-NY) didn’t give much weight to advice he gave her for her new role as a member of Congress. 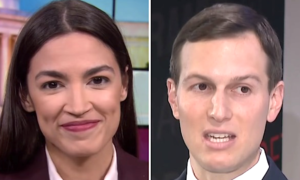 During an interview at the annual dinner for Forward Jainesville, a community organization based in his hometown, Ryan talked about an encounter he had with AOC just after her election victory last year. As the audience laughed, Ryan went on to describe his advice to her. “Take it easy, just watch things for a while, don’t ruffle any — see how it works first,” he added. This January, Ryan left Congress after declining to run for reelection. AOC has been a vocal critic of Ryan’s economic policies. In December, she called out the media for what she said were “double standards” when it came to coverage of him versus her. 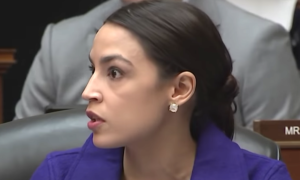 “Double standards are Paul Ryan being elected at 28 and immediately being given the benefit of his ill-considered policies considered genius; and me winning a primary at 28 to immediately be treated with suspicion & scrutinized, down to my clothing, of being a fraud,” Ocasio-Cortez she tweeted.